Maddie is eight years old and is experiencing heart ache because of family hardship. When families struggle to meet basic living costs, providing resources for their children’s sport or education is often not an option. Maddie believes she will never have the opportunities the other children have. As she watched her friends training on the court after school, she longed to be part of the team. Maddie felt excluded. Maddie was sad. Registration fees, uniforms, shoes, sporting equipment, training and coaching have pushed the cost of grassroots sport out of reach for some families. Maddie’s mum needs $264 this winter to cover the costs of netball, one of the more affordable sports. You can help give girls like Maddie a brighter future. Your gift of just $22 a month can help change a girl’s life! Matthew Nicholson, director of La Trobe University’s Centre for Sport and Social Impact, said prices prevented many children playing sports. “Rising costs have become a significant barrier to having kids participate in sport,’’ he said. “People on lower incomes are doing less sport, less physical activity, it’s a genuine concern people can’t afford to do enough physical activity,” said Matthew. Participation in sport is key in providing opportunities to develop physical, social, and emotional health and wellbeing; fundamentals in fulfilling dreams and aspirations. 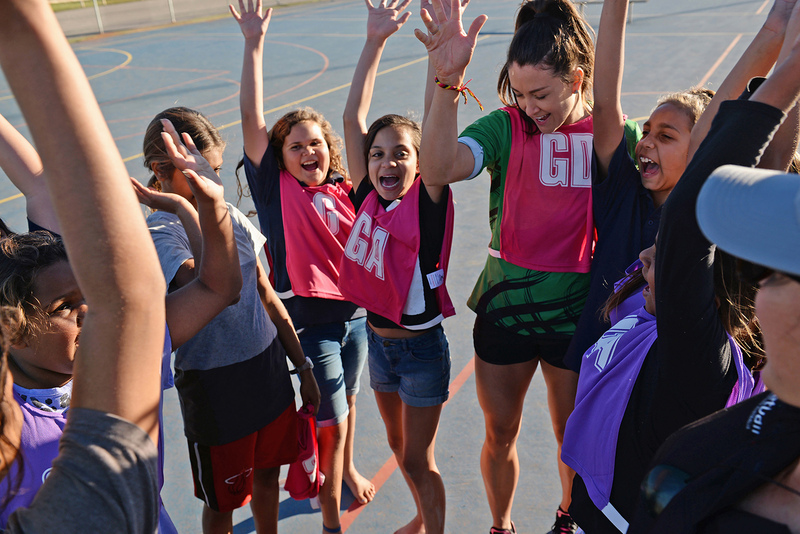 Netball provides safe places for girls and their communities to come together in building confidence, empowerment, leadership and acceptance. Taking part in sport provides opportunities to develop physical, social, and emotional health and wellbeing; fundamentals in fulfilling dreams and aspirations. registration and uniform $86,leggings $30 and a netball $50. That’s just $22 per month. Your gift can help change a girl’s life!